We manufacture and supply highly efficient Infrared Moisture Meter. This accurately designed instrument is used for determination of moisture content in materials which do not undergo chemical change when exposed to infra red radiation. 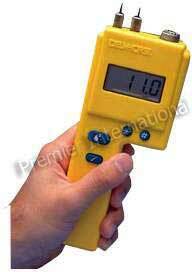 Our Infrared Moisture Meter is available at reasonable price.